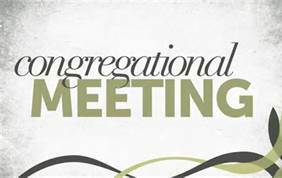 On February 28th we will have our Worship Service at 9:30am (no Sunday School), and a special meeting at 10:45am. The meeting is about the Vision the board has for the future of our church! Make it a priority to be at church that Sunday! 9:30am – All Nursery/Junior Church classes will take place (no Sunday School).